Homeopathic Teething Tablets: Are They Safe for Your Baby? Are the Hyland’s homeopathic teething tablets we’ve all relied on truly dangerous? Is this a vaccination cover up? What’s really going on here? Hyland’s homeopathic teething tablets and gel, a household staple for many parents for 90 years, have been removed from the market due to adverse reactions in babies and small children. What’s really going on? Belladonna is a plant with an interesting history. Its name literally translates as “beautiful woman” due to its use in eye drops by medieval Italian women seeking to dilate their eyes to make them appear “in love” and thus more attractive to suitors. It was also reportedly used as a poison on darts and in potions, including by Emperor Augustus, and also Macbeth. It has served as the source of a number of important pharmaceuticals – atropine and scopolamine, for example. However, beyond any shadow of a doubt, it is a highly toxic plant, also known as deadly nightshade, and one I would not ever allow a baby or child to purposely ingest. The most serious symptoms of belladonna poisoning include seizures, coma, respiratory failure, and cardiovascular collapse. Just a few of the berries accidentally eaten by a child can result in severe toxicity and even death. Yet belladonna has been an ingredient in both Hyland’s homeopathic teething tablets and teething gel for decades, precisely because they are homeopathic products, which by definition, means that the final product should contain no trace of any active constituents from the plant, so diluted are the preparations. As such, it has been assumed that standards were being followed and the products were safe. Yet something has clearly been going amiss – some of the very same toxic side effects that are well known to occur when belladonna is ingested have now been attributed to the use of Hyland’s homeopathic teething tablets and gel in frighteningly large numbers and with even more frightening outcomes. In fact, what’s amiss is that the products might not be entirely homeopathic at all – on January 27, 2017 the FDA issued Hyland’s a warning based on laboratory findings of belladonna levels “sometimes far exceeding the amount claimed on the label” in the teething tablets. They had similarly found inconsistent levels of belladonna in the products in 2010, and asked the company to reformulate the product. According to recent reports by the FDA, there is now ten years of accumulated data, including over 370 reports of adverse events, including ten deaths, associated with the use of Hyland’s homeopathic teething tablets in babies and young children. While the adverse reactions cannot be definitively attributed to the use of these products (at this time investigation is underway) these reports seem to be legitimate and the preponderance of evidence does point in their direction. Reports have come directly to the Hyland’s Homeopathic company by parents whose child experienced an adverse reaction or outcome, via reports from physicians who observed adverse effects in emergency department and urgent care visits to doctors’ offices, and to the FDA via its adverse events reporting system. All events occurred shortly after teething tablets were administered to a baby or young child – sometimes in a matter of minutes. In one case a baby was found dead in her crib just 45 minutes after her grandmother gave her two teething tablets, crushed, for the very first time. In another case it took 45 minutes of emergency resuscitation by a medical team to revive a five-month old baby who stopped breathing almost immediately after receiving the recommended dose of the teething tablets. Parents and physicians have witnessed tremors of the hands and feet, seizures, cessation of breathing, and sudden death in otherwise healthy teething children, in a time frame that suggests the products as the cause. Is This a Conspiracy or Vaccination Reaction Cover Up? While I know it is very easy for those of us who have a strong belief in alternative therapies, I myself having tried Hyland’s teething tablets almost 32 years ago when my oldest child was a teething 8-month old, instead of a conventional over-the-counter medication, to take a conspiratorial attitude to the current FDA suggestion that this remedy is dangerous, assuming there is just an inherent bias – even a witch hunt against anything natural or that parents might use to take avoid medical treatments. The fact is that these case reports and adverse events do legitimately appear to have been made by individual parents and physicians, with no hidden agenda behind these reports to use this as yet just another opportunity to debunk natural medicines. While it is possible that babies in this age range did have vaccination reactions leading to tremors, seizures, respiratory and cardiac failure – all of which have been also associated with adverse vaccine reactions, it is unlikely that these Hyland’s reports are all really vaccination reactions that are being covered up as some bloggers have posited. And anyway, do you want to take that chance on your baby or young child? Hyland’s teething tablets toxic? Or vaccine reaction cover up? Do you want to take the chance on your baby? Look, I have no great love for the FDA, but this is not the first time the FDA has alerted us to a teething product that can cause serious harm to babies, and it’s not only been natural products as the culprit. In 2011 it warned of rare but fatal reactions from the use of the conventional, over-the-counter medications Orajel and Anbusol, amongst others, which contain benzocaine, a topical anesthetic that caused a potentially fatal reaction called methemoglobinemia, even in minute doses, in infants and young children. This is also not the first time a homeopathic remedy has been associated with problems. While generally considered safe, with about 5 million US adults and 1 million children using them annually, to the tune of a multibillion-dollar industry, a cold remedy called Zicam was removed from the market in 2009 because it was found to have excessively high levels of zinc and caused anosmia – the loss of the ability to smell – in users. Homeopathic products have slipped through regulatory loopholes since the 1930s. Largely it’s been their lack of classification as pharmaceuticals that has allowed them to generally slide under the FDA radar and not be subjected to rigorous testing for efficacy. Their safety has generally been considered to be guaranteed by some level of Good Manufacturing Practices – policies that guarantee that ingredients are what they say they are, and nothing that shouldn’t be in the product is in it. However, from their first inspection of Hyland’s seven years ago, Hyland’s compliance with GMPs was in question – if anything, one has to wonder why the FDA didn’t shut down manufacture of this product sooner? Unlike dietary supplements (herbs and nutrients), which were excluded from rigorous FDA regulation in 1994, homeopathic products can regulated by the FDA since the Food, Drug, and Cosmetic Act which allows them to be sold as “therapeutic” for more serious conditions, actually requires a clinician to prescribe them (for self-limiting conditions like teething, they can be sold OTC), so a serious response was warranted from the beginning of the adverse events reports. It’s very easy for us to become romantic about the idea that natural is safe, and it’s understandable that we seek alternative treatments in a world of medical overprescribing – including in pediatrics where the overprescribing of antibiotics, for example may be as high as 70% of the prescriptions written. But that doesn’t also mean that natural is always safe. And homeopathic remedies present an interesting conundrum – unlike with nutritional supplements where we know how much of a nutrient to take before we reach a toxic dose, or herbal medicines in which we generally use herbs known to be safe, homeopathic remedies do include toxic ingredients, their effects thought to be mitigated by the high levels of dilution characterizing the preparations. However, if this dilution is not happening consistently with rigorously evaluated end products, poisoning is a plausible outcome. And that’s at least for now, what appears to be happening. As of September 2016, Hyland’s agreed to discontinue manufacturing the famous teething products for use in the US, and major distributors including large retailers such as Target, have disposed of their stock. However, Hyland’s would not implement a recall and the products are still available on the Internet. You may even have some hanging out in your personal medicine cabinet. At this point I would urge you not to purchase the products, and to discard what you’ve got. I also would not consider them safe for use until definitive evidence shows that they are. Also keep in mind that to kids, homeopathic tablets, because of their sweet taste, make them an easy target for kids to take as “candy” so I wouldn’t just tuck them away for later. 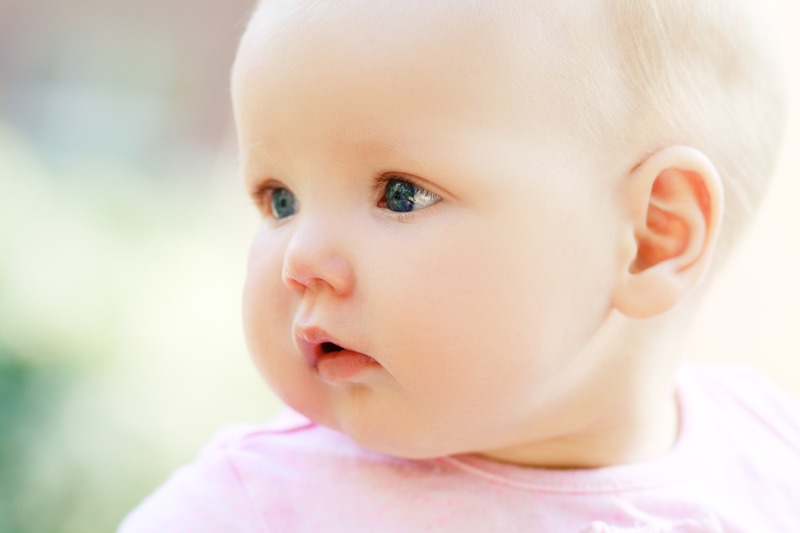 What can you do instead to soothe your teething baby’s discomfort? There are the old school practical solutions our grand moms used – a chilled teething ring (BPA-free please) or gently massaging baby’s gums with your finger. Tried and true herbal products, known to be non-toxic, can also be considered, for example, chamomile and lemon balm in glycerite (glycerine extract) form, and valerian glycertite on your fingertip rubbed into baby’s gums – used only in recommended baby and child doses, and from reputable companies that put on their labels that they meet GMPs. Herb Pharm and Gaia Herbs in particular, also label their children’s products with easy to follow dosing strategies, and both meet GMP standards. Would you consider using chamomilla 6c homeopathic tablets potentially harmful as well? So far it's not been called into question - but right now avoiding Hyland's products might be wise only because if there are FDA GMP compliance issues there is theoretical risk of contamination with other ingredients. I can't attest to this not being a "vaccine reaction coverup". I never reported but my kiddo broke it in a horrific head to toe rash within less than an hour of being given ONE of the teething tablets (I am even conservative with giving him homeopathic medicine so I didn't do the whole dose). Thank God I didn't give him two. He hadn't had a vaccination after his 2 month appointment, and this episode was a 10 months. This was either an allergic reaction or a bad product. Either way, no thanks. Would you consider any homeopathic formula containing belladonna to be unsafe for babies and children as well? I've been using Borion Camilia teething homeopathic drops for my four-month-old with fantastic results. Thanks so much for your excellent work, Aviva! I've always appreciated your thorough and careful approach to natural medicine. Thank you for your research and for publishing this article. What is your position on homeopathic belladonna 30c or 6x from other companies such as borion? Thank you Aviva for your clear and balanced voice on this subject rampant with mis-information. I'm a homeopath, and Hyland's has lost their reputation in the opinion of many professionals for not adhering to the classical homeopathic method (which would render Belladonna safe) of making the remedies for reasons I'm not sure anyone at this time understands. This is a grave tragedy with heart-breaking consequences. My heart is with the families. I had just run out of my teething tablets when the recall was issued. My favorite thing to use though is Chamomilia. I think it works better than the teething tabs and it was the main ingredient. Just chamomile and works in seconds to 15 minutes. We are cutting the last eye teeth right now. I was hoping for a break, but I think he's chewing on his second molars now! Noooo! Wellements makes a gripe water that is helpful too. It has chamomile and fennel, I forget what else. Dr. Romm my sister and I are concerned parents and she's a midwife and I'm a lactation consultant. We were raised using homeopathic remedies and use them with our families and often recommend to our clients when it is warranted. Obviously this information is a huge concern as we both have teething children. Neither of us vaccinate. But we're curious if there is any information regarding the reported cases of teething tablet use in combination with vaccines or use of teething tablets and no vaccines. Can you point us in the right direction if any such information exists? Thank you in advance! I've not seen this evidence - and wish it existed. Would be super informative. I gave these to my daughter and sons. I think my daughter went through bottles of them. Is there any long term issues I should now about? Any detoxing that should be done? My daughter is now 15. What an incredible bummer. Thank you for this thoughtful and trustworthy review of the evidence, Dr. Aviva. If it wasn't you presenting it to me, I may not have trusted it. Unfortunately I stocked up when I heard the news in September, too! I am curious to know - how do these adverse reactions compare to those of the conventional alternative of Motrin? I think that the data on long-term risk of ibuprofen is really now just emerging and there aren't great stats on adverse events in kids with NSAIDs for teething. But to some extent it's apples and oranges. The risks of motrin etc are well-known. The belladonna homeopathic SHOULD be safe -but according to FDA there's a GMP compliance issue - rather than an inherent problem with a properly prepared homeopathic. At least that's how it's looking so far. I don't recommend mortrin or NSAIDs' for teething, either, for the record. BF'ing if baby is still nursing for comfort, gentle herbs like chamomile, cold teethers, etc. I am a midwife and herbalist of 50 years. I have delivered thousands of babies. Many of them are now in their 30's and 40's. As moms, we all used Hyland's Teething Tablets daily. NONE of the children have any ill effects. Most are PhD's, Scientists, Mathematicians and Doctors. I highly disagree with your assessment of this product and recommendation to not use it. Now, people will turn to Belladonna the plant - now THAT would be dangerous. I hear you. But here's a question: in all of the births you've midwifed, how many amniotic fluid embolisms have you had in your practice? How about anencephalic babies? How about placenta percrete or increta? Follow my drift here? Just because YOU haven't experienced it, doesn't mean it doesn't happen. Rare yes, but that doesn't mean these aren't real reports. And if they are, why take the risk? And I really highly doubt anyone will turn toward using a known toxic plant instead. Really? I used Hylands homeopathic teething tablets with my two children and they with their (combined) three children, all with no complications. When my son was growing molars, he even ate almost a whole bottle of them that he got into without adverse reaction except a runny nose for two days. Our family will continue to use these very helpful tablets. As a matter of fact, I plan to order some and store in the pantry as both my children are planning another child in the next two years and they may be removed from the market by then. Like I said, I used them for mine, too. That doesn't mean that every batch is safe - it just means that your children and mine were. I'm recommending against them until the jury isn't out. We can't take limited personal evidence as evidence of safety. If that were the case we'd all experience most of the effects of pharmaceuticals, too. Of course, we all have to make personal choices - but I recommend erring on the side of caution on this one. Thank you, Aviva. Truly appreciate your call for caution with this. I normally hear "the FDA recommends..." and typically think the opposite is probably right. I used these tablets with my children who had no reactions (thankfully), but found ground cloves worked better for them. Is there any cause for caution with using ground cloves on gums? It numbs so well my babies are always able to fall asleep! I also really appreciate your statement that natural doesn't necessarily mean safe, I find that I often encounter the attitude of "it's natural! no need for caution!" (Especially around essential oils! I love oils. But, I am concerned about the lack of caution I'm seeing amongst us millennials.) I know you'll get flack for speaking the truth and giving caution, but for those of us who are really wanting sound advice - we truly can't thank you enough! And our children will thank you too. Thank you! Yes - some pushback and it's always hard - so your email - and kindness + sensitivity - are especially appreciated! I respectfully disagree in that while yes, that's how homeopathic medicines should be prepared, it doesn't mean a company is following it's own guidelines consistently. While the jury is still out on this issue, we can't ignore that any company can be having internal QA problems. As someone who supports homeopathic remedies but has no history with this particular product, it is clear to me that Hylands has CHANGED their manufacturing process - taking shortcuts which involve using non-homeopathic belladonna or some other substitute. I bet my bottom dollar that was probably a financial decision, and I would then put all Hyland's products "on notice". If they are doing it with baby products, what are they doing in the manufacture of other products? Unfortunately Profit trumps Quality in most businesses. Very sad state of affairs, especially as this company obviously had a wonderful reputation, gained over many years of delivering quality products. Thank you for sharing this with us and help clear up the air. I used those tablets with my kiddo, he is now 2 and, thank God, never had any issues. My homeopath and Accupuncturist gave him Belladona for fever, last time he was sick, and the guy at the checkout counter asked me if it was poisonous... Good to know all this. I've found that making a mix of Glycerine, cloves and catnip work wonders to soothe his gums and he loves the taste, so he lets me get it on there.